Genesia Ting is currently a student, amateur photographer, and graphic designer. 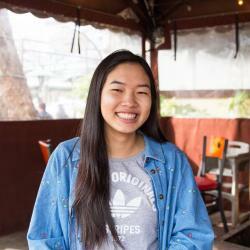 Genesia found a strong passion for concerts and photography, and decided to pursue a hobby as a concert photographer for the Los Angeles Beat. She enjoys discovering new eateries in the Los Angeles area, finding interesting events, and exploring different parts of LA. You can check out some of her photos on Flickr.